From the 10th to the 12th of August, the Hisense Arena was the venue for the second edition of the Melbourne Darts Masters. 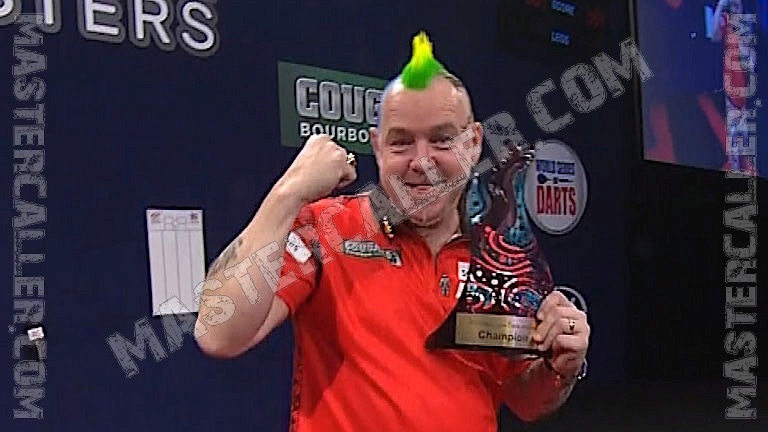 Peter Wright, who defeated Michael Smith 11-8 in the final, claimed the title. With his tournament victory, Wright won a World Series event for the second time in his career. The colourful Scotsman showed his form during the entire weekend. In the first round Mike Bonser could not win a leg against him and in the quarter-finals Wright overcame Auckland Darts Masters-finalist Raymond van Barneveld 10-4. Wright performed best in his epic semi-final clash against Michael van Gerwen, beating him 11-7 with an average of almost 105 points per three darts. Michael Smith’s tournament, who lost to a regional qualifier in Auckland one week earlier, started with an easy 6-2 victory over Tim Pusey. Rob Cross gave Bullyboy a tougher contest at the last eight and Smith faced certain elimination, before winning four legs in a row and reaching the semi-finals. In the semi-final he played well and managed to defeat Gary Anderson, his mentor: 11-5.